The Phoenix reborn! Persol releases the limited 3072 “Film Noir Edition” sunglasses. 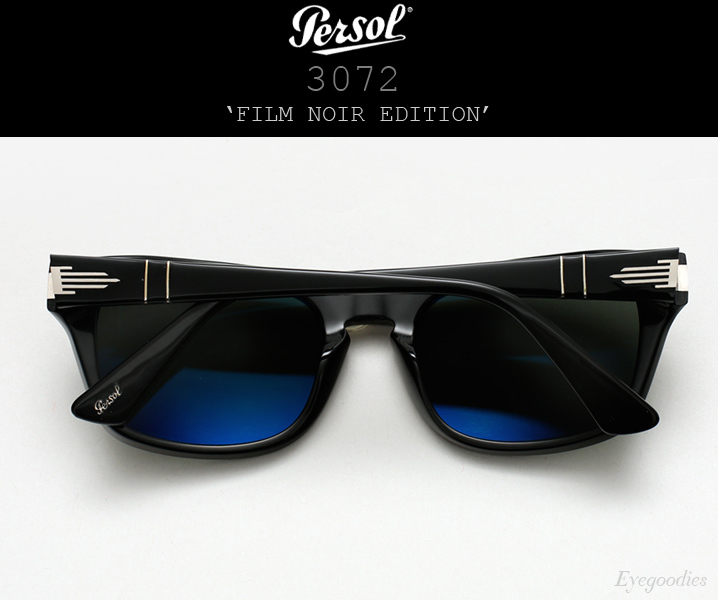 The Persol 3072 AKA “The Gangster” is part of Persol’s limited edition “Film Noir Collection”. As tribute, we see the resurrection of the famed Phoenix arrow. Persol’s defining arrow was first introduced by founder, Giuseppe Ratti in the 1930’s. Over the years, this arrow has taken many shapes. One of the rarest, being the Phoenix of the film noir era. Handmade in Italy, the frame features a classic key-hole bridge and is done up in shiny black acetate with silver detailing, and features G15(grey green) glass lenses which are both polarized and anti-reflective back coated for superb optics and glare protection. Ray Ban’s ‘Round Metal’ sunglasses are a great example of classic vintage Ray Ban at its best, with its circular lenses, detailed metal filigree, and very well proportioned fit. 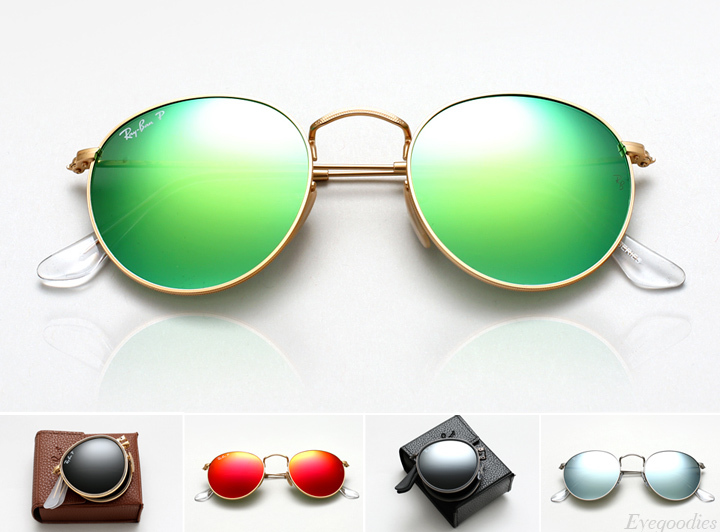 Now, new for 2015 the round shades return with an assortment of new color options, from the timeless gold with G15(grey green) lenses, to vibrant pop color mirrored lenses which are also polarized. There is also a new Round Metal foldable version , that quickly and neatly folds down into a small leather pouch for easy transport and storage. 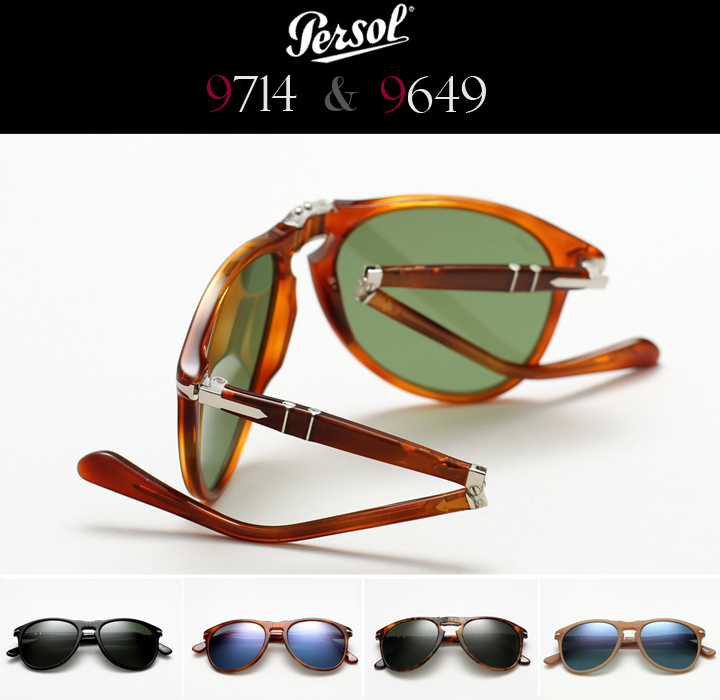 From the evolution of Persol’s two most iconic shapes(714 and 649) comes the new 9714(folding) and 9649 models. Completely reworked and refined with thinner acetate and modern contoured lines — This sleek reincarnation is slimmer and lighter weight than its predecessor, making it more contemporary and comfortable to wear. Handmade in Italy, each style features Persol’s Supreme Arrow metal hinges, meflecto temples, classic Keyhole Bridge, and glass lenses. 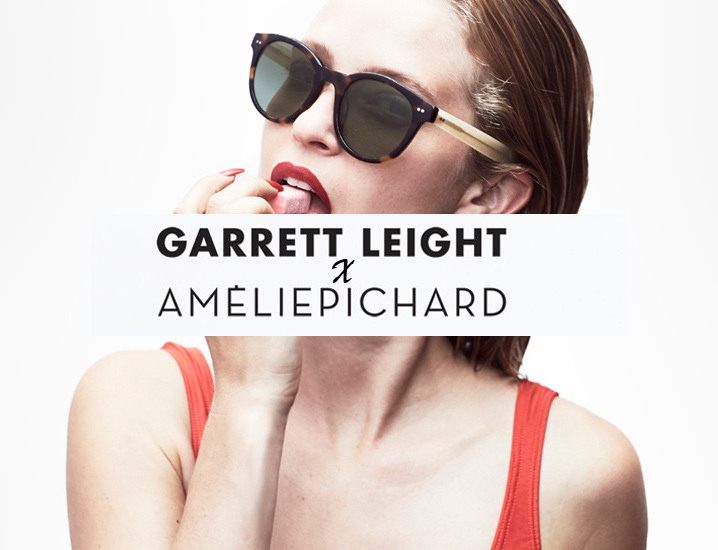 Available as both a sunglass and optical frame, and in a host of unique colorways with both polarized and anti-reflected lens options.